Great bond investor Kathleen Gaffney says it’s been the quietest summer bond market in her 20 plus years of managing fixed income funds. Is this the proverbial calm before the storm? Have years of low interest rates lulled investors into another false sense of security? Gaffney, Portfolio Manager of the Eaton Vance Bond Fund, is concerned about risks in the bond world and has adjusted her portfolios accordingly. She’ll explain why she thinks bonds are fraught with risk and why stocks and cash are now a big part of her portfolios. For those of us living in the Northeastern United States the summer of 2014 will be remembered as one of the most beautiful in recent memory. The days have been mostly sunny and clear, with little or no humidity, and many nights have been cool enough to forgo air conditioning. This nearly perfect climate has been reflected in the financial markets as well. Stock prices have reached new heights. The S&P 500 closed above 2000 for the first time on Tuesday, although it slipped below that later in the week. And the bond markets have been remarkably robust. Much to the surprise of most analysts, yields on U.S. Treasury bonds hit the lowest levels in months this week. The 10-year Treasury note fell to 2.334% today. So far this year the benchmark Treasury note has delivered a total return of 16.6%, that’s price appreciation plus interest. Total return for the S&P 500 on the other hand has lagged considerably, up 9.7%. This week’s guest, Great Investor Kathleen Gaffney says it’s been the quietest summer bond market in her 20 plus years of managing bond funds. Is this the proverbial calm before the storm? Have years of low interest rates lulled investors into another false sense of security? There are risks out there. The Federal Reserve has said it is winding down its unprecedented monetary easing policies of the last five years, and its massive Treasury bond buying program is ending. Expectations are that it will raise short term interest rates from their current record lows sometime next year as the economy and employment continue to improve. One key indication of how complacent bond investors are about potential market risks is how the difference, or spreads between yields on risky junk bonds and those on top quality U.S. Treasury bonds have fallen. They are at the lowest levels since before the 2008 financial crisis. In layman’s terms, investors seem to be willing to pay high prices for small rewards on risky debt, providing very little cushion if the market weakens. Kathleen Gaffney is worried about risks in the bond market and has adjusted her portfolios accordingly. Gaffney is co-director of Investment-Grade Fixed Income at Eaton Vance and the lead portfolio manager of the Eaton Vance Bond Fund, which she launched in January of 2013. The fund has beaten its Morningstar multi-sector bond category and market benchmark by wide margins over the last year, putting it in the top one percent of its competitors. Until 2012 Gaffney was co-portfolio manager of the Loomis Sayles Bond Fund with legendary bond investor Dan Fuss where their team was awarded Morningstar’s Fixed Income Fund Manager of the Year. I begin the interview by asking Gaffney to explain the biggest puzzle facing bond investors today- why interest rates have remained stubbornly low. 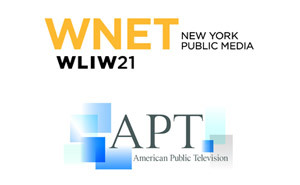 We’ll also have an EXTRA interview with Gaffney about a personal venture she is involved in launching. It will be available exclusively on WEALTHTRACK.com. 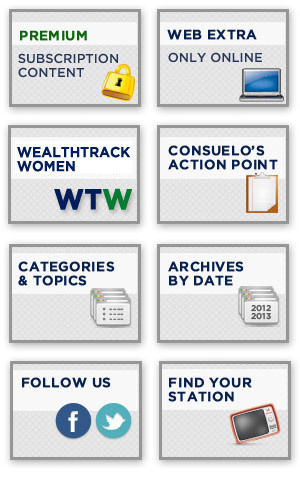 While you are there, take a look at our WEALTHTRACK WOMEN series. This week, our group of award-winning women advisors is focusing on helping women prevent their financial plans from going off course. Have a great Labor Day weekend and make the week ahead a profitable and productive one. Raise some cash and hold it. KATHLEEN GAFFNEY – BOND BETS! Federal Reserve Chairman, Ben Bernanke, surprised everyone this week by announcing that the Fed would not stop its quantitative easing as Bernanke hinted he would do by the end of the year. The announcement sent the stock markets to new highs. Critics say the Fed is sending investors too many mixed messages. Is this any time to launch a new bond fund? This week’s Great Investor guest thinks so! Kathleen Gaffney co-managed the legendary Loomis Sayles Bond Fund with bond giant Dan Fuss and branched off this past year to launch the Eaton Vance Bond Fund and serves as the firm’s Co-Director of Investment Grade Income. 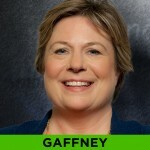 Gaffney will discuss how she’s positioning the Eaton Vance Bond Fund for the turbulent times ahead! Great Investor Kathleen Gaffney launched the Eaton Vance Bond Fund in 2013. This year she is involved in launching another more personal venture which she explains.